Definition at line 3666 of file CCopasiXMLParser.h. Definition at line 3674 of file CCopasiXMLParser.h. Definition at line 10787 of file CCopasiXMLParser.cpp. Definition at line 10792 of file CCopasiXMLParser.cpp. 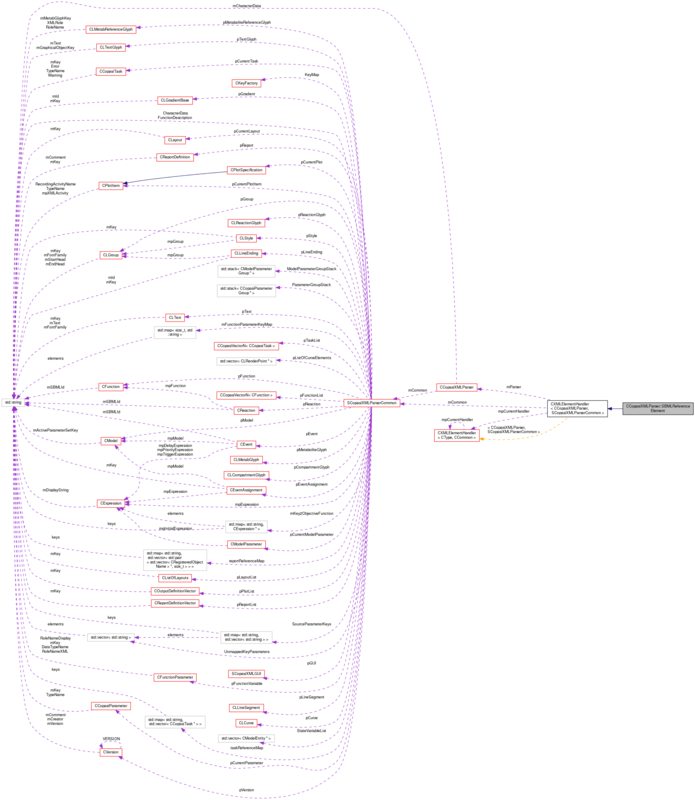 Definition at line 10845 of file CCopasiXMLParser.cpp. References CCopasiMessage::EXCEPTION, MCXML, CExpatTemplate< CExpat >::mParser, START_ELEMENT, and UNKNOWN_ELEMENT. Definition at line 10797 of file CCopasiXMLParser.cpp. 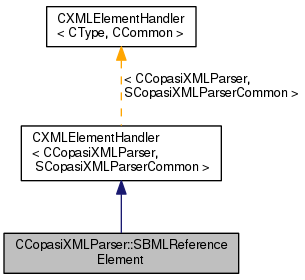 References CCopasiMessage::EXCEPTION, CCopasiXMLParser::mCommon, MCXML, CExpatTemplate< CExpat >::mParser, SCopasiXMLParserCommon::pDataModel, CCopasiDataModel::setSBMLFileName(), and UNKNOWN_ELEMENT.